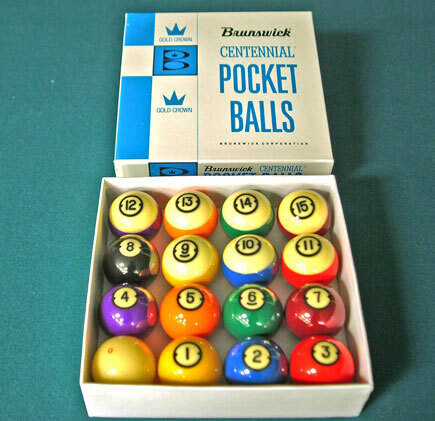 #10-04 Hard to find old set of Brunswick Centennial pool balls in original box. About 50 years old, slightly used, but in overall excellent condition. $300.